The first thing you'll notice about this game, the first time you fire it up is how colorfully beautiful it is. You want full Retina display support, this game will not disappoint you. The moment you start playing it, you'll be amazed at how beautiful and detailed every aspect of the game levels is. Wait, I should be discussing the game play here, right? Sorry but I got carried away by my fascination with the game's graphics. 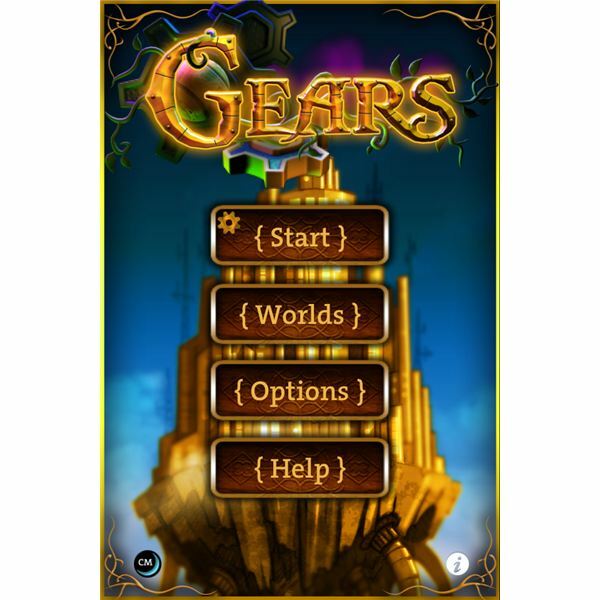 Anyway, Gears for iPhone is a platformer. The objective of the game is to successfully guide a ball as it rolls down on various challenging environments to reach the end of each level. The game gives you two ways to control the ball – touch or tilt. While neither is especially easy, using tilt control is definitely easier than touch. That's simply because the iPhone's screen is too small and guiding the ball through the use of your fingertips will completely block most of the track. 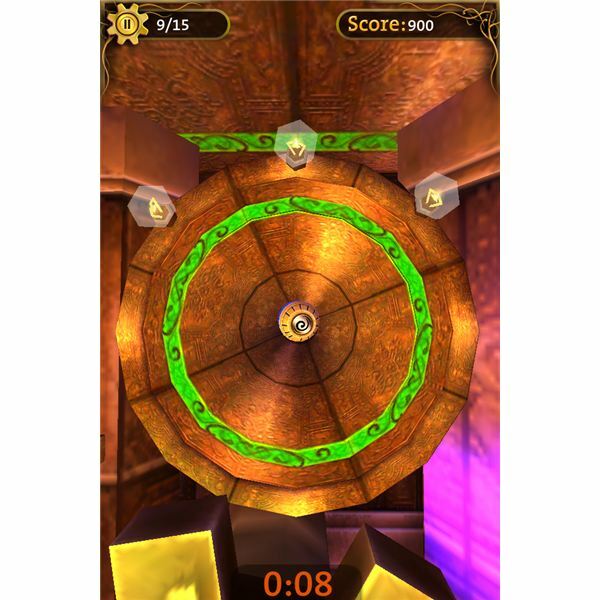 When you're using touch controls, you can make the ball move faster by simply flicking or pushing the ball more. You can also slow down the ball's movement by making soft touches. Each of the levels in the game has a specific time limit. If you've run out of time, you can restart the game. Along the way, if your ball falls off, you will then begin at the last checkpoint you passed before the ball fell. Unfortunately, the clock does not restart and so you are left with less time to complete the level. And that's where the game's challenge creeps in, aside of course from the different obstacles and the difficulty of the track designs. If you find the game too frustrating because you have to repeat a difficult level from the start once you've run out of time, you can always turn off the timer from the game's settings. For $0.99, you'll be surprised at the many features that this game offers. It has 3 unique worlds and a total of 27 full length levels waiting to be conquered. Each of these levels is unique so you'll surely want to finish all of them. Another nice feature of the game is its high replay value. Each level has twists and turns along the way. If you just want to go through all the game levels you can always guide the ball through the shortest route for getting to the end of the level. You can also replay each level and explore every corner and spot to find more interesting stuff. 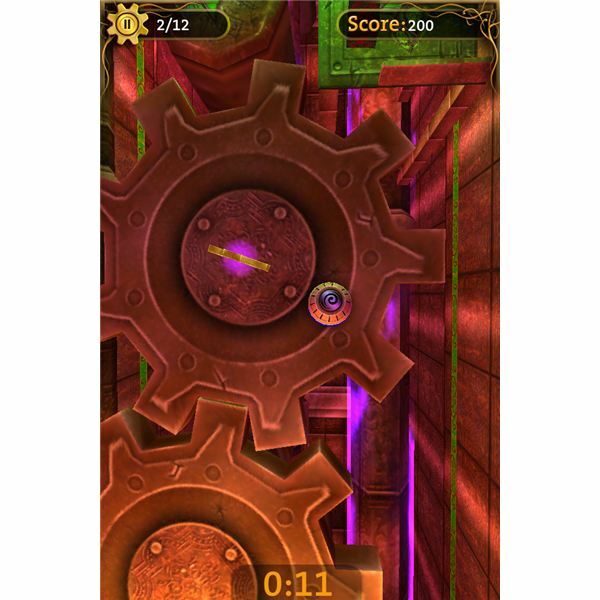 Overall, for its price, Gears for iPhone is a highly recommended game. Colorful, fun, entertaining and well thought out, are the words that I can use to describe this iPhone game. It is available now from the iTunes App Store.